Ok guys, we are quickly approaching December, yikes! But that means we will be starting our 2016 Month of Kindness soon, yay!! Who else is excited to get started!?! 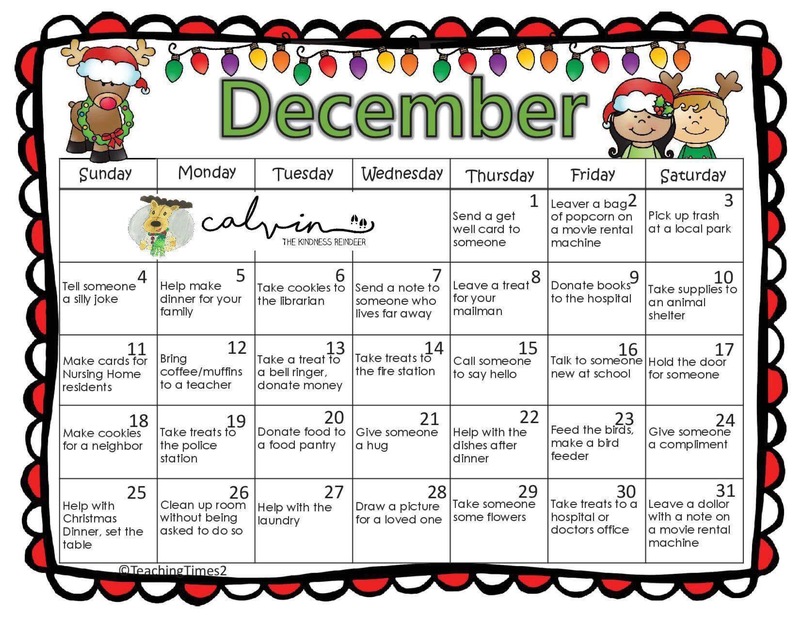 This December, our family will be following the #kindwithcalvin Kindness Calendar! It includes daily acts of kindness, to help kids/families spread kindness in their communities this month! We invite you and your families to join us on this journey! As always, if you post anything on social media about your journey, please use the hashtag #kindwithcalvin so we can follow your journey! Remember that kindness begins with you, and our world becomes a better place with each act of kindness that is done! So go and take your community by storm, and spread kindness!